This sounds incredibly cheesy and trite, but it’s true. In order to be able to sell successfully at the executive level, you need to be self-confident enough to know that you belong there. And you do. After all, you won the right to present, which so many others didn’t. That’s not to say you should go in over-confident or believing you’re the best sales rep ever. There’s a difference between being confident and being conceited. Ditch the PowerPoint, or at least use it sparingly. Used properly and in limited chunks, PowerPoint can be an effective sales tool. The problem we often see is the untold numbers of sales reps who anchor their presentation to the software. Want to completely disengage your audience? Spend most of the presentation in a dark room, droning on through a slideshow. The reason why is because the slides will immediately capture the audience’s attention and become a barrier to their hearing the speaking voice of you, the presenter. PowerPoint simultaneously becomes a crutch for weak presenters and a source of sensory interference. Instead, the slide show segment should be short, only to summarize or highlight the most important pieces of data. Another option might be to give out hard copies of the same information, so the audience can refer to it when needed. This does mean you’ll become the primary focus of the presentation, but that’s the way it should be. After all, you’re the expert and the face of the sales process. Not the screen. Talk to the top and bottom lines. 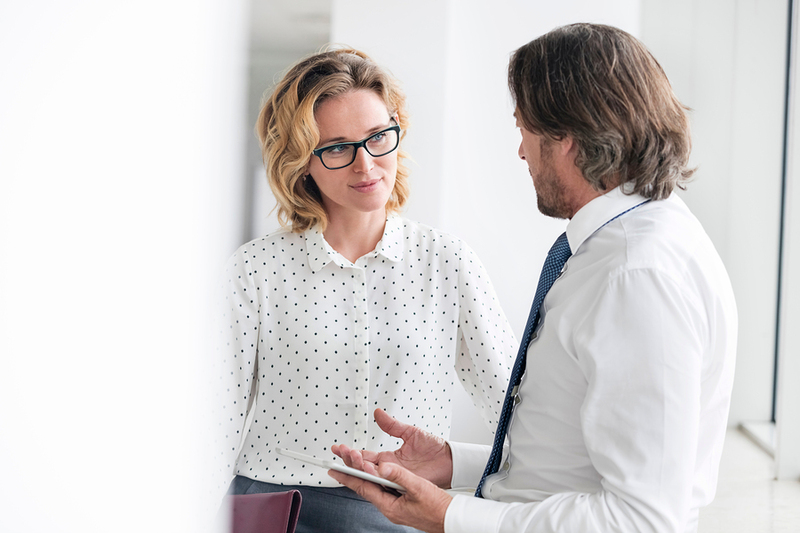 When dealing with buyers below the C-Suite, you’ll often discuss how the features and benefits of your offering will solve a customer’s problems and address their needs. For that level, it’s an excellent strategy. The executive arena is an entirely different playing field. There, just one question matters: How will purchasing this product help increase revenue and profitability? Everything else is secondary. Therefore, you want to construct your presentation to executives around that central question. This is arguably the biggest change in mindset in selling between the two tiers of an organization, and it’s the most important adjustment to make. C-level people are among the busiest people on the planet. So your weather and traffic chitchat? Discard it. You’re dealing with a limited time frame here. Get right to the point and tell them what they need to know (Refer back to #3). That’s not to say there won’t be back and forth discussion. But it’ll be relevant to the presentation itself. Anything extraneous will be eliminated. Caveat: It’s a good idea to begin the presentation by giving your name, company, and purpose for being there. The C-Suite meets with and talks to a lot of people, so they might not immediately remember who you are or what the meeting is about without that summary introduction. Establish yourself as an expert, but also ask pertinent questions. As a sales rep, you have the knowledge and awareness of a company’s needs, how your product addresses those issues, and the ultimate impact on the top and bottom lines. Make that clear during your introductory remarks before delving deeper into the service. Asking a relevant question will also engage your audience and help steer things in the direction of a conversation, rather than a top-down information feed. Notice also that the question is not only relevant, it could potentially uncover objections. Perhaps the CEO isn’t yet fully convinced that organic produce is better for their revenue streams. You can then make in-presentation adjustments to handle that objection. As you can see, the reason so many sales professionals find it difficult to present to the C-Suite is because they don’t realize a different mindset is needed. But adopting the necessary changes and following these tips will help sales reps be successful in talking to the C-Suite and make them more accomplished, flexible, and ultimately valuable in their careers.